We always need more volunteers and even a hour can make a difference to someone's life. Volunteering should be a rewarding experience for everyone involved. It can be valuable work experience for someone seeking paid employment. It is an opportunity to become part of our team and help older people in our community. I have been a volunteer helper at The Meadows for 10 years. I joined after early retirement to put some tangible help into a charity as well as enjoying my own leisure time. A Rotary friend who also helped introduced me to the centre. I drive one of the two 12 seater mini buses which collect clients and take them home each weekday. The job is responsible but not difficult, the thing I enjoy most is the friendly atmosphere at the centre and the “crack” with the staff and clients. These are our current volunteer vacancies. All volunteers will have a DBS Check, an induction and all appropriate training required for their role. To apply for any of the positions please download the application form at the bottom of this page. Anyone aged 30 to 70 can apply. No special licence is required, just patience and a sense of humour, and of course good driving skills! 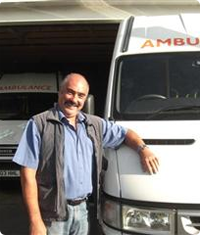 Help older people on and off of our minibuses, and then safely into their homes. Help out in our busy day centre, serving lunches and refreshments, joining in the entertainment and being a friend to our members. This is a voluntary role requiring extra patience and understanding. You will sit and talk to people with dementia, in our dementia day care sessions. Volunteers with benefits knowledge involving elderly clients required as well as volunteers for minor administration duties. Must have attention to detail. Help move or sell furniture at the recycling project. For this role, please phone Richard on 07946 837 133.